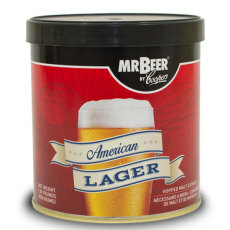 Great Fermentations carries all you need to start using the Mr. Beer brewing system. Get started with the Mr. Beer Premium Brewing Kit which includes the necessary equipment and an initial batch. When you're ready for more beer, you can order a Mr. Beer Refill Kit and reuse the same equipment to make the next batch. Rinse and repeat to your hearts delight. From the Mr. Beer craft series, the Diablo IPA is a super-hopped American style IPA. This classic US craft style beer is a rich amber color, with a full malt character. Feisty, but not too bitter, the Bewitched Amber Ale epitomizes the characteristics that make this style a microbrewery standard. This Mr. Beer Standard Series beer has a pale straw color, mild in flavor, and a light body with a dry crisp finish. A great beer for all occasions, this beer is the perfect example of the typical American lager style. This is a classic Mexican style beer best served ice cold. From the Mr. Beer standard series, the American Ale has a rich golden color, citrusy hop aroma with a crisp bitterness, and a light toasty malt character. 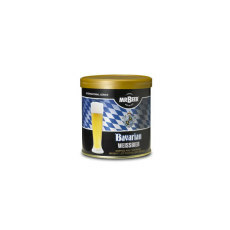 A great thirst quenching beer that is a local favorite in Bavaria, South Germany. Part of the Mr. Beer standard series, the Canadian Blonde is a classic easy drinking Canadian style beer. This rich, dark brew is an authentic blend of grainy roasted malt, malted barley, and hops. Bright golden in color, this beer is characterisitc of the classic pilsner style.